The year 2017 represents my 55nd year as an occasional inventor, whimsicalist and possibilitist. 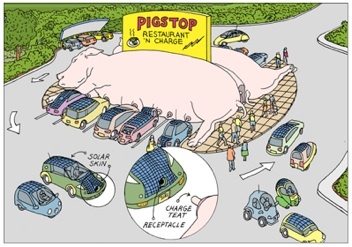 Though creating invention-themed cartoons has been for me nothing more than a sideline business, I’ve never stopped amusing myself by tinkering with ideas for plausible or outrageous products, or by trying to anticipate future trends and inventions. 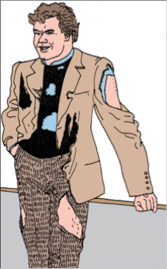 Sometimes I have actually foreseen a trend, as in 1975 when I drew pre-torn clothing, or in 1992 when I drew a product similar to Google Glass, long before others came up with the same idea. Many of my 1991 predictions in Public Therapy Buses have come true. Many have not. Some are yet to come true, thereby shocking the world. 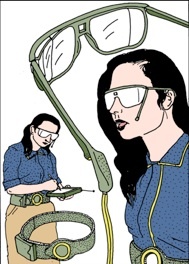 1992: Prediction: Computer screens will be visible to the eye inside a pair of glasses.  Desktop magazine. 1984: Prone Clip, Chaise Lawn. 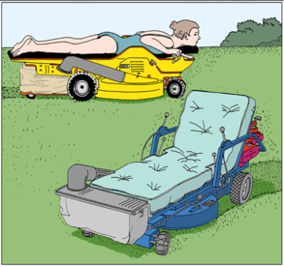 Lawn mower doubles as outdoor furniture. What the World Needs Now. 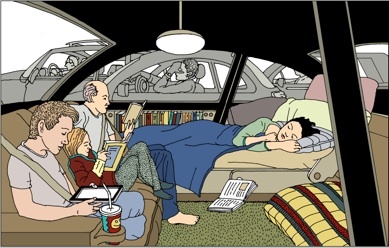 2013: The driverless car can become a family living room. 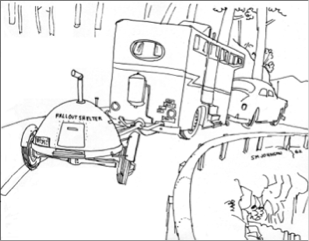 “Driving Sideways,” Allison Arieff, NY Times. 1991: Swimming Moat. 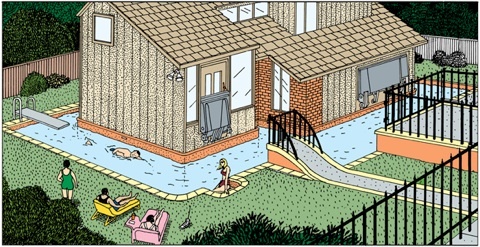 Homeowners get to enjoy a swim and at the same time know their home is protected from intruders. Public Therapy Buses. 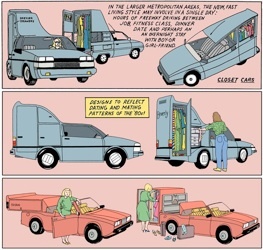 1984: Closet Cars. Every girl wants one of these cars.What The World Needs Now. 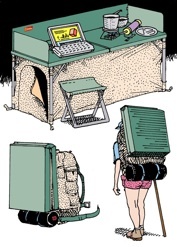 1991: Portable Office. Carry it into the woods. Public Therapy Buses.